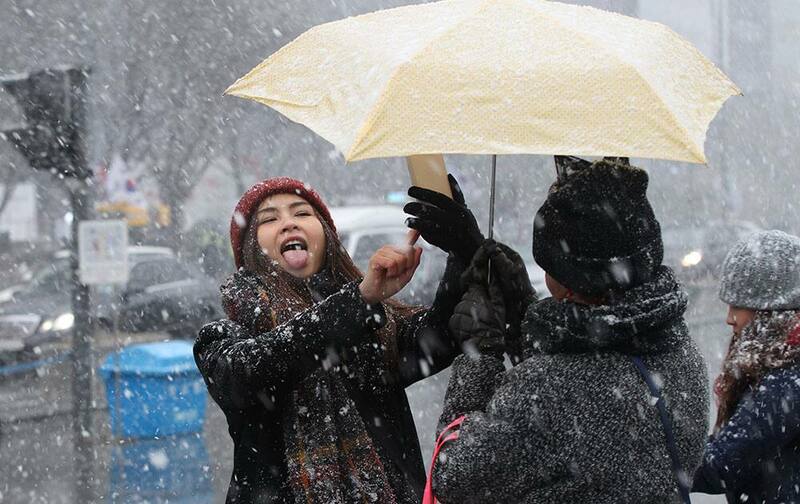 A woman takes a selfie in heavy snow in Seoul, South Korea. 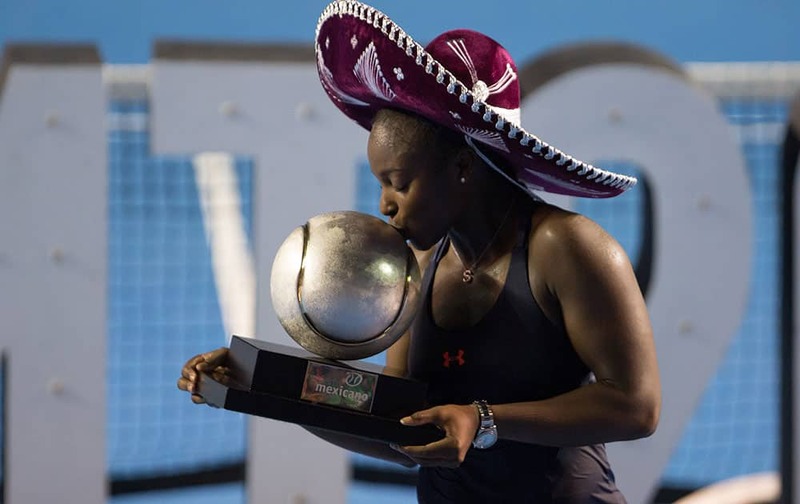 Sloane Stephens, of the United States, wears traditional Mexican headgear as she kisses her trophy after defeating Dominika Cibulkova, of Slovakia, in the WTA final of the Mexican Tennis Open in Acapulco, Mexico. 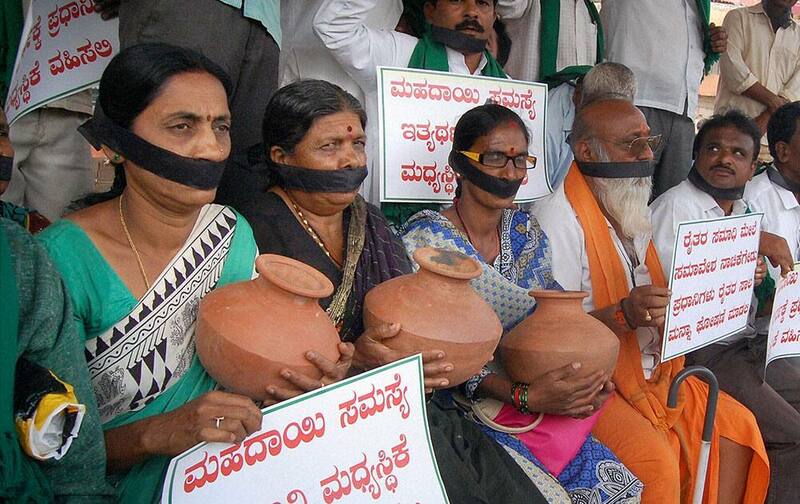 People holding a rally demanding implementation of Kalasa Bandoori Nala Drinking Water project, in Hubli. 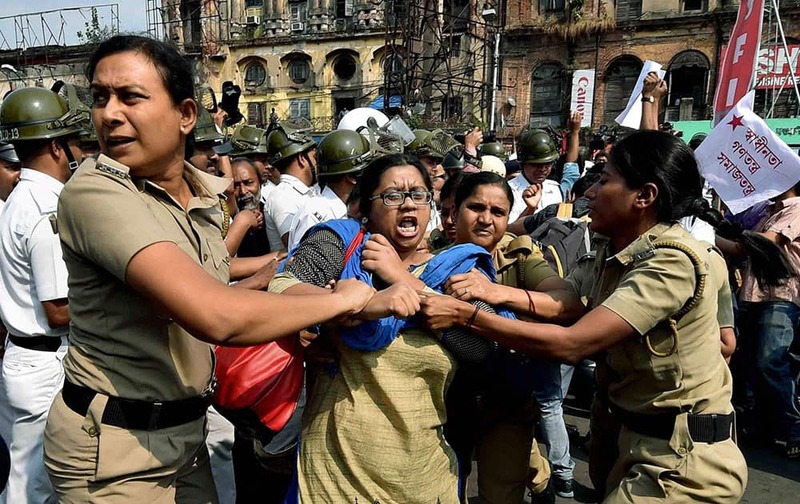 Police detain SFI activists who were holding a protest march near Governor House in Kolkata on Saturday to against alleged TMC attack on them at different Universities in the West Bengal state. 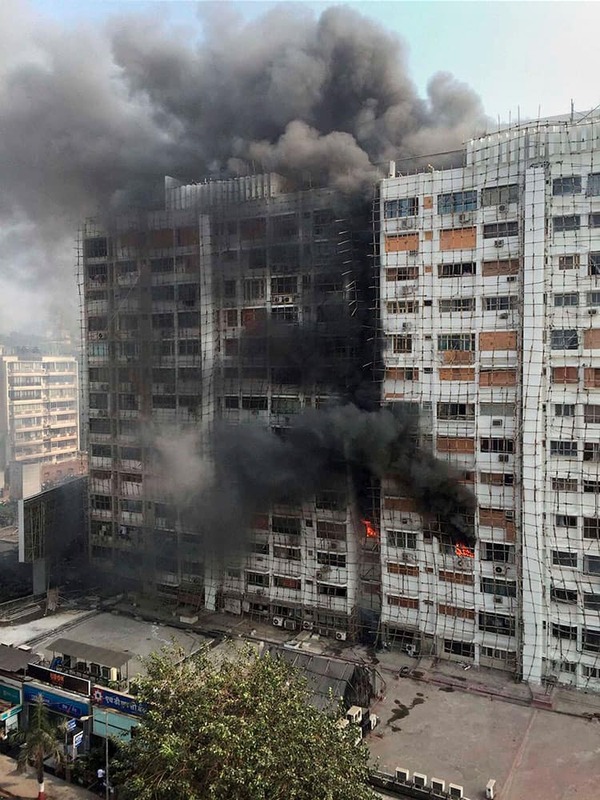 A major fire that broke out in Tirupati Apartments near Mahalaxmi Temple in Mumbai. 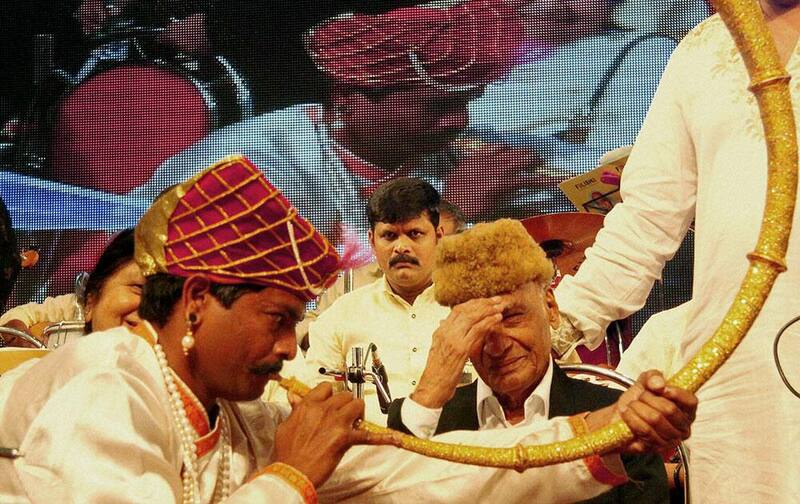 Ledendary music composer Mohammed Zahur Khayyam is welcomed during an event to pay musical tribute to the music maestro on his 90th birthday in Mumbai. 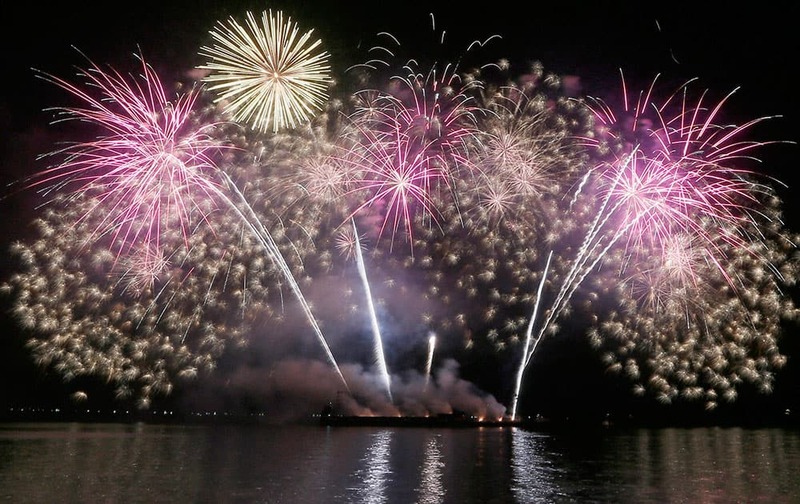 A fireworks entry from the United States is showcased during the 7th Philippine International Pyromusical competition at the seaside Mall of Asia, the countrys largest shopping mall chain, at suburban Pasay city south of Manila, Philippines. 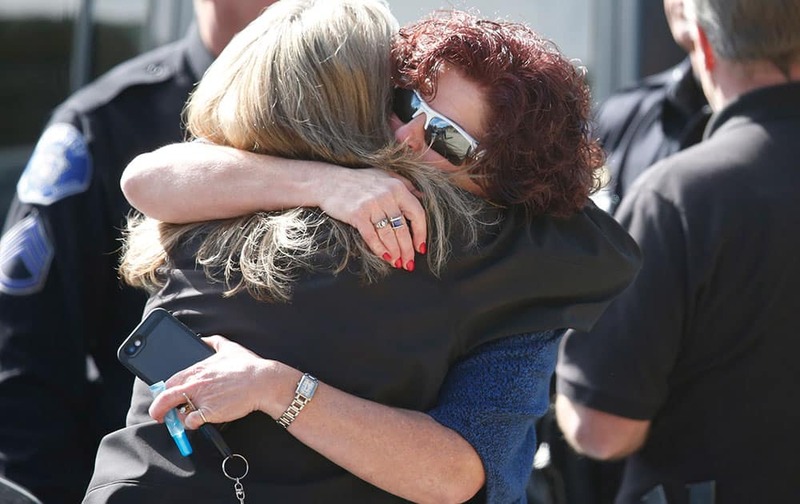 Jacki Kelley, left, director of Public Affairs for the Jefferson County, Colo., Sheriff's Department, hugs June Wegener, wife of Park County Sheriff Fred Wegener, after a motorcade passed carrying the body of Cpl. 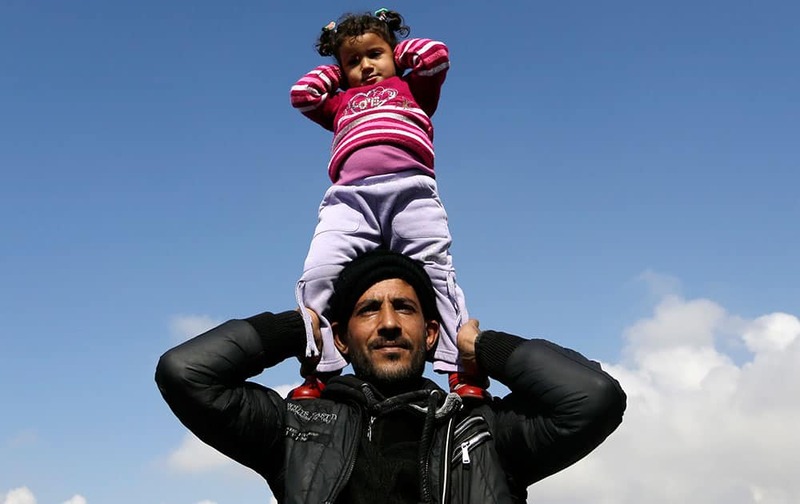 A man holds up a girl as Syrian refugees demand to open the border during a protest at the Athens' port of Piraeus. 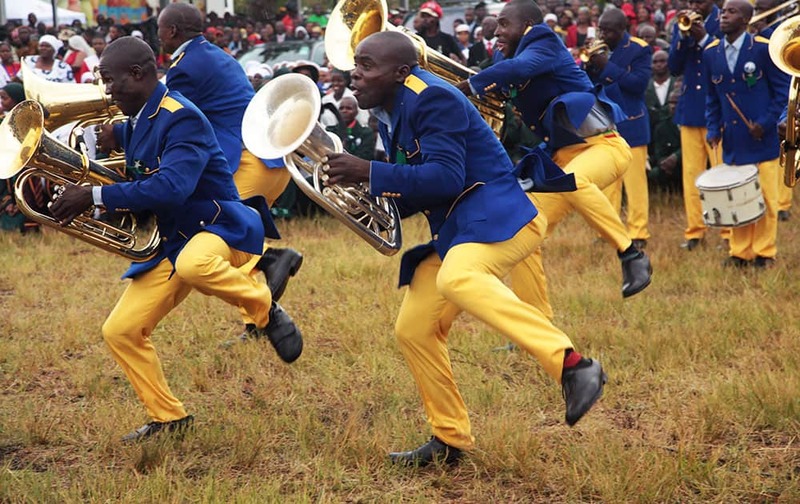 Members of a band perform during celebrations to mark Zimbabwean President Robert Mugabe's 92nd Birthday celebrations in Masvingo about 300 kilometres south of Harare. 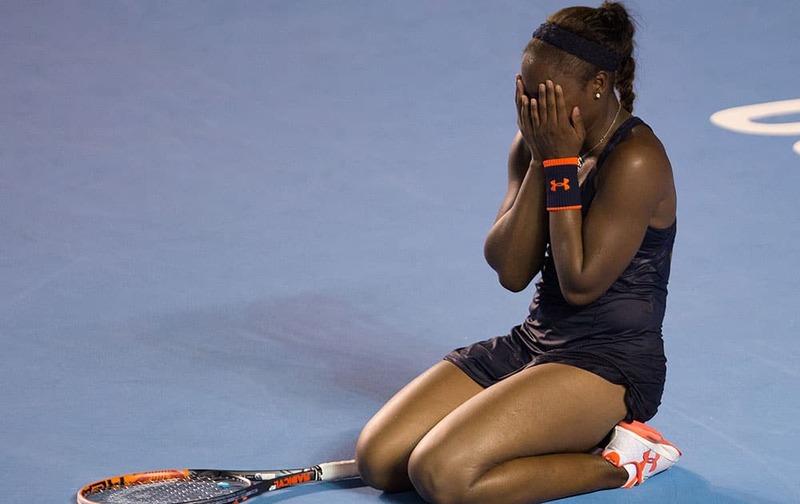 Sloane Stephens, of the United States, covers her face after defeating Dominika Cibulkova, of Slovakia, during the WTA final of the Mexican Tennis Open in Acapulco, Mexico. 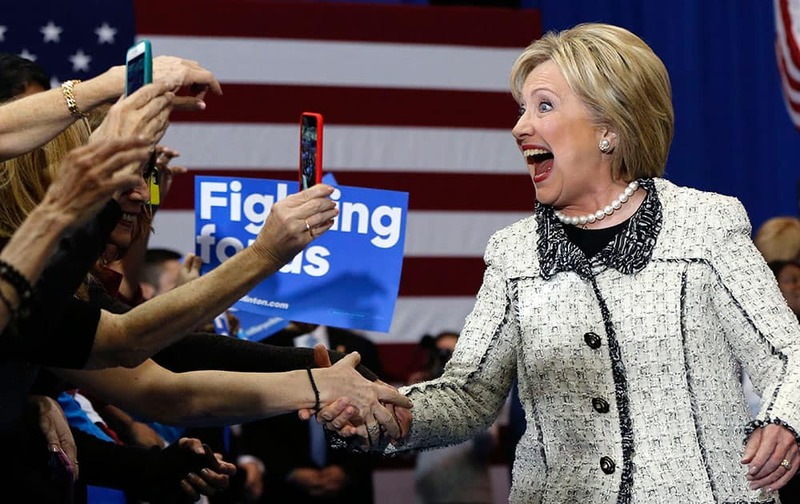 Democratic presidential candidate Hillary Clinton greets supporters at her election night watch party after winning the South Carolina Democratic primary in Columbia, S.C.
U.S. model Pyper America wears a creation for Ermanno Scervino women's Fall-Winter 2016-2017 collection, part of the Milan Fashion Week.